A landing page design for two long-form visual stories and videos to highlight Dartmouth’s climate change work in the Arctic. 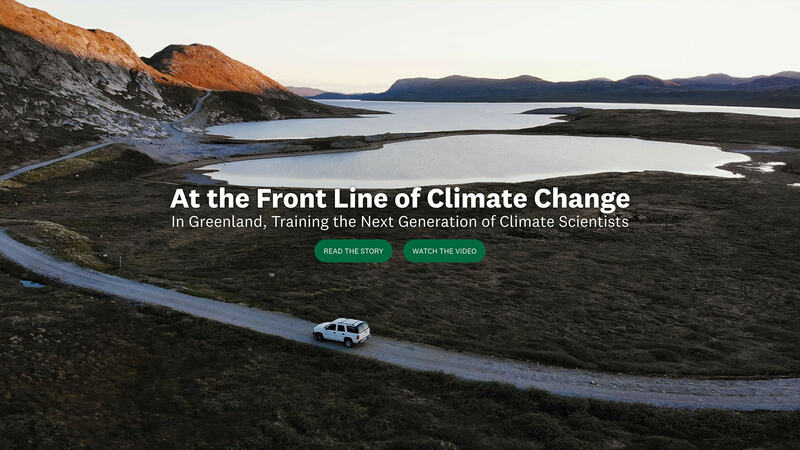 To highlight the research videos and behind the scenes stories that had been written about Dartmouth's 2018 research trip to Greenland, I created a responsive landing page using the Bootstrap framework. It was designed to be clean and simple, and was incorporated into CraftCMS for easy editing. The click through stories were created using the digital storytelling editor, Shorthand. The project can viewed here.